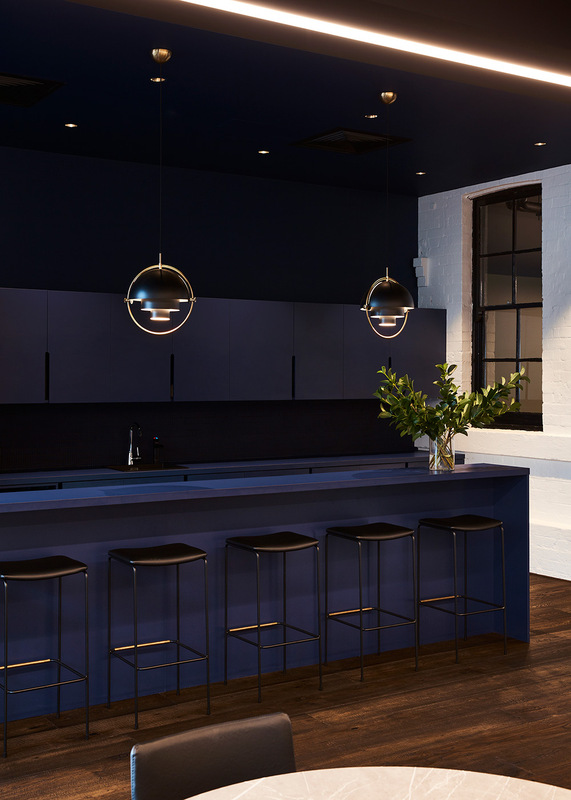 Located in Sydney, Australia this minimalist workspace was designed by TomMarkHenry for MullenLowe Profero, a digital marketing agency. 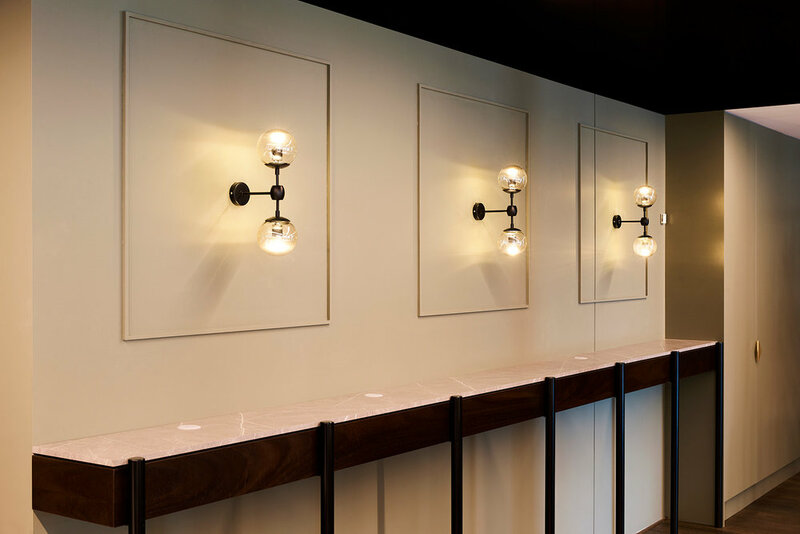 Located within a 1930's art deco building the interior offers something new and original for any client that walks through the doors. 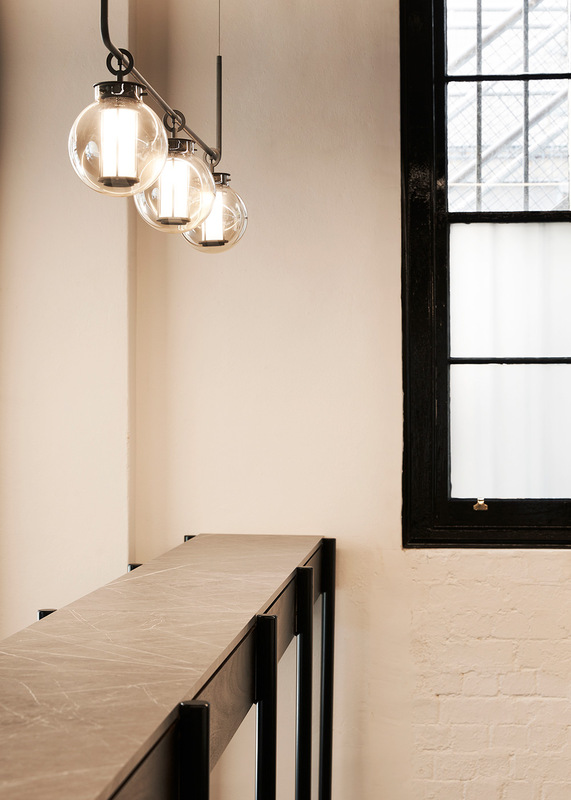 Recently undergoing a complete renovation, the building was able to retain most of the original timber panelled windows, the exposed brick and the cast iron columns throughout. 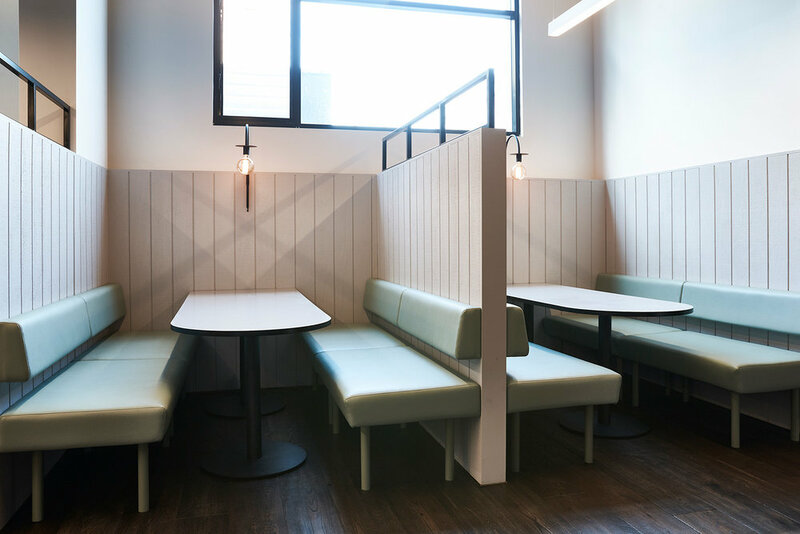 The interior is consistent with the age and styling of the building with an almost retro look and feel. Playing with the art deco feel the designers also introduced more modern pieces of furniture and other modern elements. The traditional wainscoting creates a unique touch to the enclosed booth-like meeting areas with their velvet covering and deep walnut leather furnishings topped off with brass detailing. 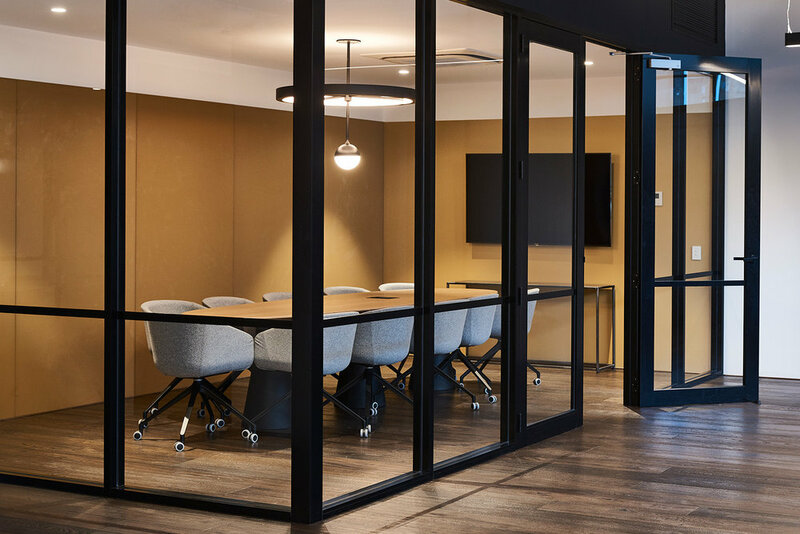 They were also quite clever with the rich tones and hues such as the burgundy, violet, navy, olive, mustard and green materials throughout the office. 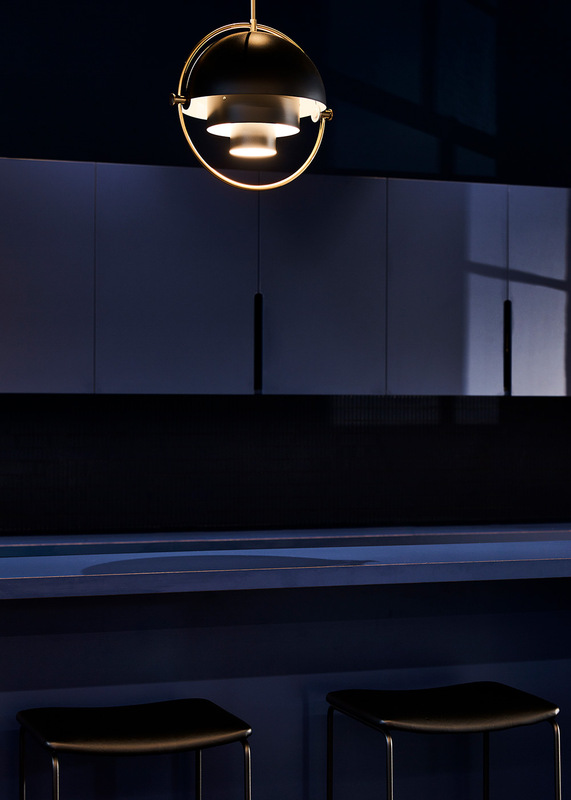 TomMarkHenry also included their own custom design and custom made pieces such as the sconces in the meeting room and pendant lamp located within the boardroom.